The Coe family opted for wow-factor German kitchen design that spanned across their dining area, family room and utility space. When the Coes from Preston moved into their new home they wanted every little detail to be perfect. And while their home was fitted with a five-year-old designer kitchen, it didn’t quite have the look and feel the Coes had in mind. With a need for a new kitchen, the couple went on the hunt for their dream design, stopping off at a Kitchen Design Centre showroom along the way. 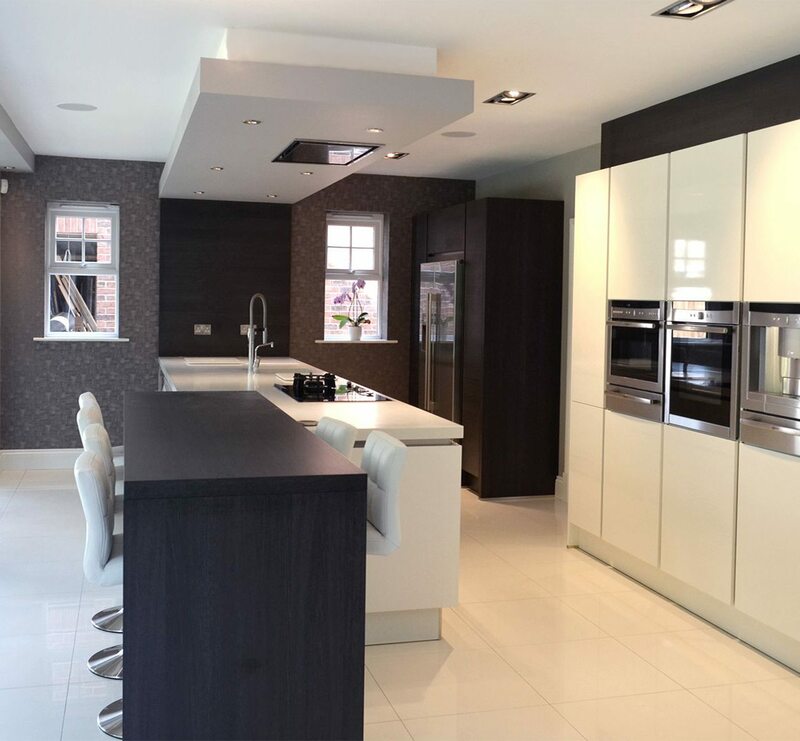 “As soon as we saw the quality of their kitchens and what we could get for our money we knew we had to choose Kitchen Design Centre. We got far better value and attention from the designers there than at any other competitor we visited,” explains Mr Coe from Preston. Narrowing down their final design was the tricky part. With lots of options when it came to design and materials, the couple had some ideas of what they wanted but needed a little help. 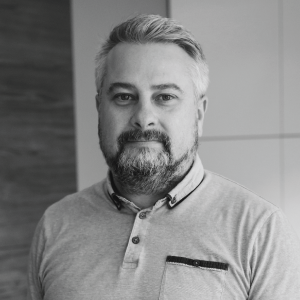 “Paul, our designer, gave us so much time to make our decisions and really did guide us along the way,” says Mr Coe. “In fact, we made changes to our ideas over and over again – probably about 20 times in total – but the Kitchen Design Centre team did not mind at all. They were so patient,”. 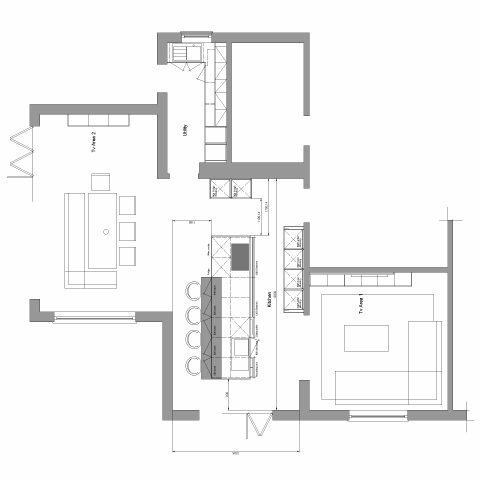 Paul’s wisdom and interior design expertise was particularly evident in the final layout of the kitchen. “Paul knew exactly where everything should be located and based the design on how we would work and operate in the kitchen. Everything was strategically placed and combined with a modern and fresh design,” explains Mr Coe. 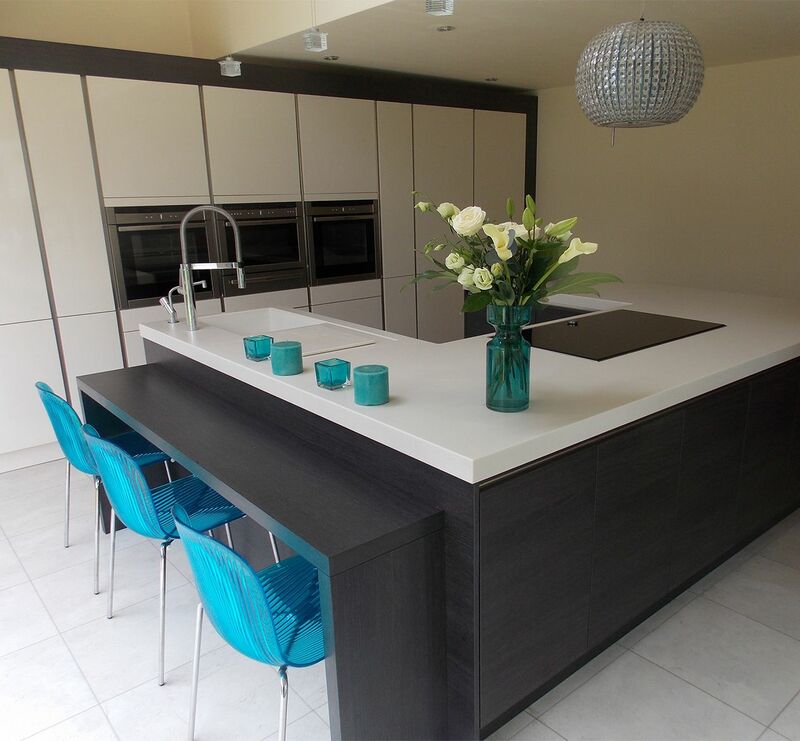 When it came to their dream design, Mr and Mrs Coe from Preston wanted stand-out features, modern appliances and a chic, German handleless design. The look was accentuated with basalt grey and cashmere cupboard doors, Corian cameo white worktops and a stunning Spekva Wenge breakfast bar. “The whole design was spot on. Modern, functional and stunning,” says Mr Coe. “The team effectively revamped the majority of the ground floor including our dining area, family room and utility space. All four rooms now flow perfectly from one to the other,” he adds. Modern appliances, high on the couple’s wishlist, were also installed. 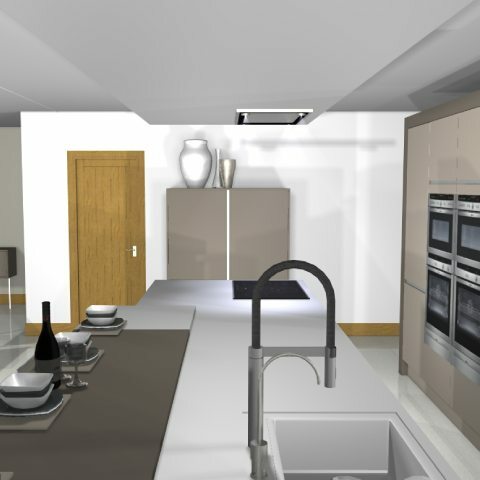 These included a Quooker tap, 60cm wine cooler and a number of standout Neff appliances, designed to make cooking easy. 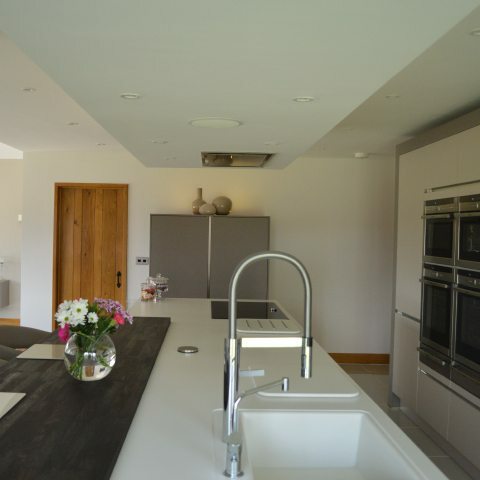 "With the help of Kitchen Design Centre we were left with a kitchen that was modern, functional and absolutely stunning. They did a wonderful job!" 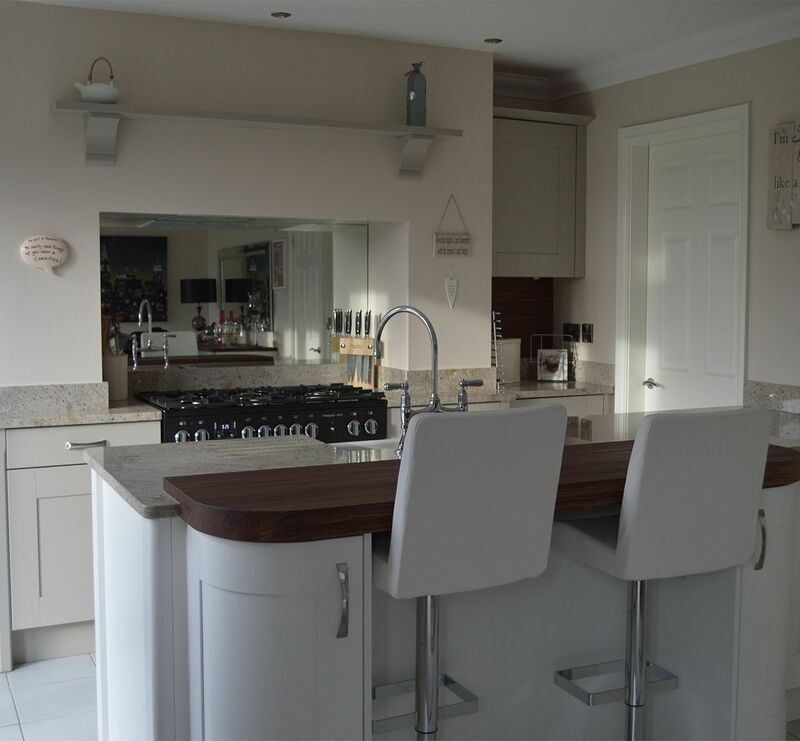 "The Coe family from Preston were really enthusiastic about their new kitchen, which made it a great project to work on. We installed lots of modern, stylish features and went with a complementary design and colour palette. The couple even went so far as to having a small extension to accommodate the island they had in mind." "Neff products also featured highly in the Coe’s final kitchen. In fact they choose 10 Neff appliances in total – from the single and combination ovens, right through to the warming drawers and dishwasher." "We were delighted to receive a letter of thanks from the Coe family and hope they continue to enjoy their new kitchen for years to come."